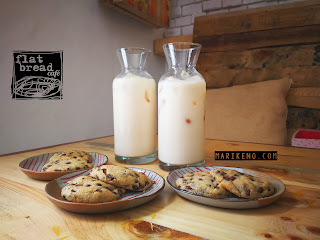 This is their Signature Warm Chocolate Cookie and Iced Cold Milk. Probably our most favorite item on their menu. It was so good it put a big smile on our faces. Cookie was served hot, chewy and gooey, partnered with a big bottle of cold milk. Flat Bread Café is composed of several young successful entrepreneurs and individuals who just want to share their great love and passion for cooking and food. They find joy in grouping their selves together. 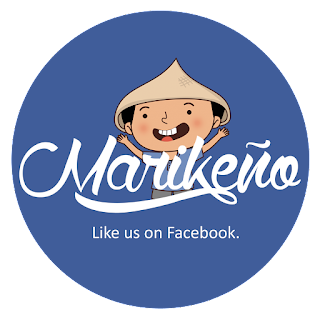 They rely on each other on creativity and talent to be able to share it to the people of Marikina. They first opened at Crave Park in October 2016 where they were embraced with open arms. 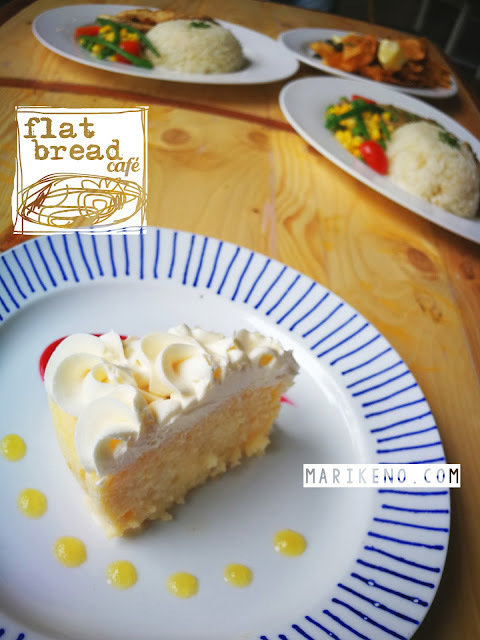 However, because of some restrictions on their menu, Flat Bread has finally decided to open their very own café on May 14, 2017 where they serve everything that we love. Do not worry, Crave Park fanatics, Flat Bread has not left Crave Park. Remember their Smores on a Bread made it to our Top #2 on our Crave Park Special? Click here to read it. Shrimp Po Boy is loaded with juicy shrimps and smothered by lots of cheese. Are you bored with your everyday food? You want to be challenged? Try this if you aren't a coward. 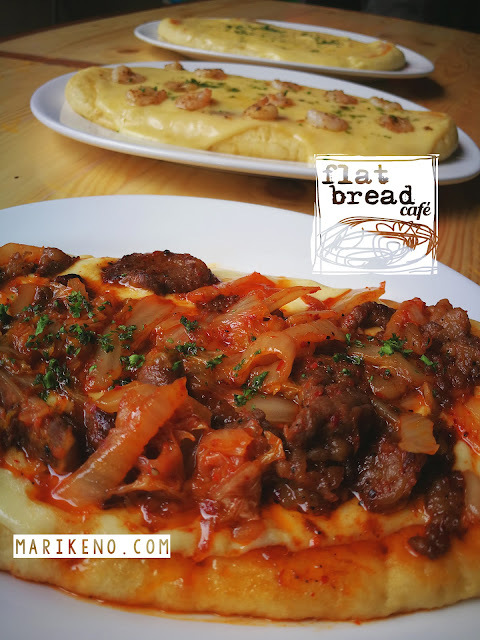 Try Flat Bread's Korean Beef and Kimchi Flat Bread. Soft and fluffy bread topped with real beef and kimchi on top. Flat bread can be very versatile. You can literally put anything on top of it and love it dearly. 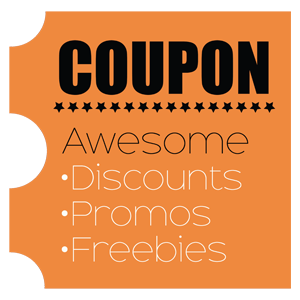 You can make it into a Philly Cheesesteak, Beef Kimchi, Meaty Pizza, Smores Flat Bread and many more. It is a combination of something that is both new yet familiar. Why do you have to check their café? Regular and new customers of their store in Crave Park need to come to Flat Bread Café because they have a much bigger space, a bigger menu and more food to choose from. 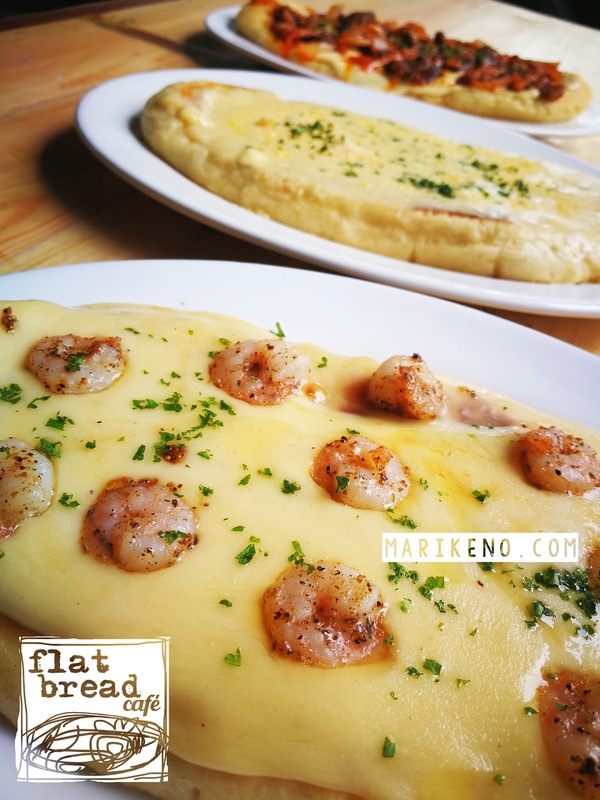 They do not just offer flat breads anymore. 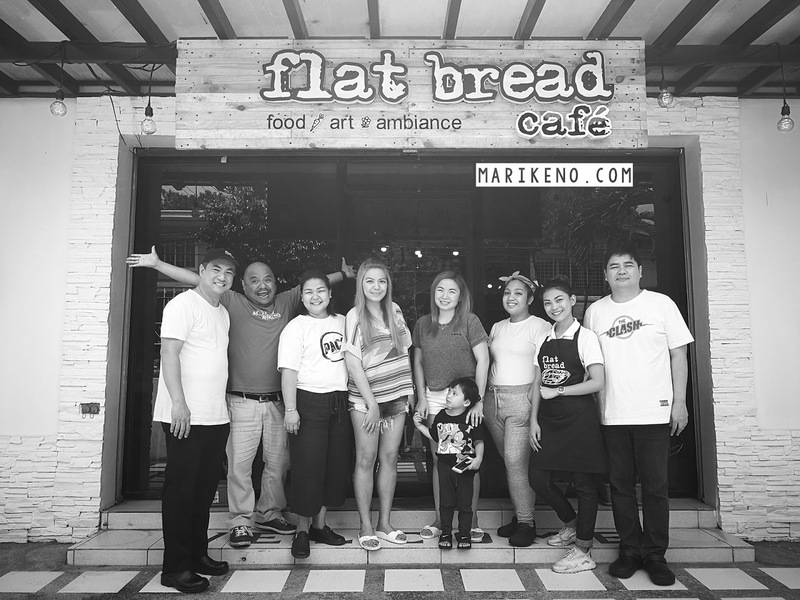 They have full meals, breakfast, desserts and of course, their much loved flat breads. The Flat Bread Team are mean foodies. When it comes to food, they are serious. Yummy yummy Fish and Chips by Flat Bread. 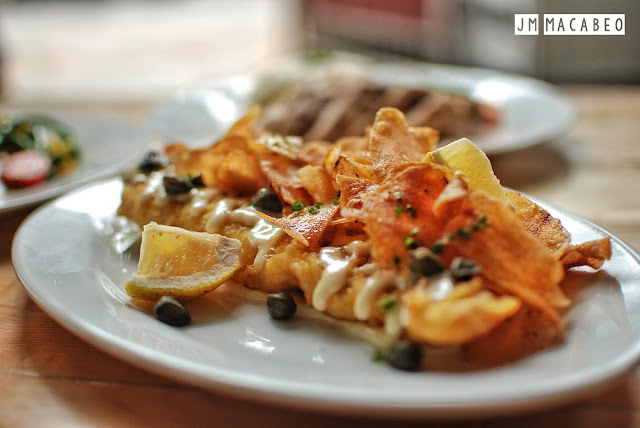 Battered deep-fried fish topped with potato crisps, vegetable sides and capers. Less the guilt because it is fish. Chicken Supreme, tender but a little dry. Still tasty though although not our favorite. Beef Pot Roast is our favorite rice meal. Slowly cooked over low heat. Very tender and so tasty. Tres Leches is soft and moist. Not too sweet, made just right. Creme Brulée tasted good. A little dry though and not as creamy as we though it should be. Presentation was impressive though and very pleasing to the eye with a very thin hard caramel on top. Was not our favorite but you should give it a try. Flat Bread's version of Cabanatuan Longganisa, Spam and Eggs and Garlic Yakiniku Beef Tapa. Their Corned Beef was really good and juicy. Matched with hash brown and fried eggs. 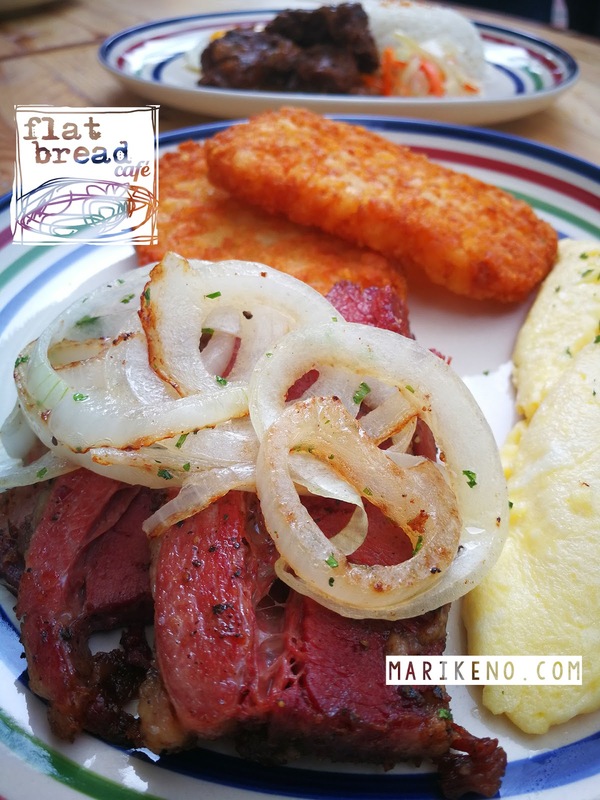 Flat Bread offers a really great breakfast lineup. 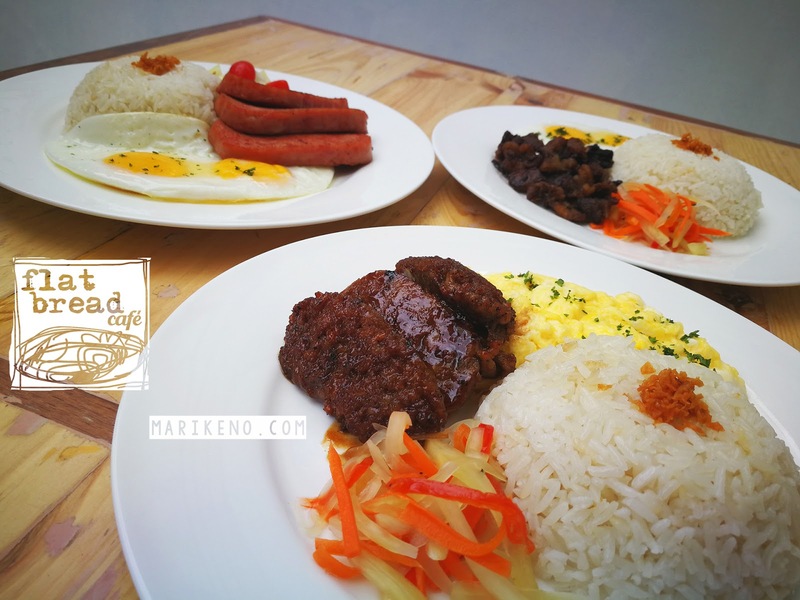 They have everything you want from Cabanatuan Longanisa, Spam Brekkie, Gourmet Sardines Flakes, Garlic Yakiniku Beef Tapa and more. My personal favorite is their Corned Beef which tasted really good. It was not too salty with eggs cooked perfectly. One thing that I assure you, they know sh#t about eggs. Just tell them how you want them, whether you want them sunny-side up, scrambled or omelet. They surely know how to do them right. Try their breakfast daily from 7AM to 10AM. 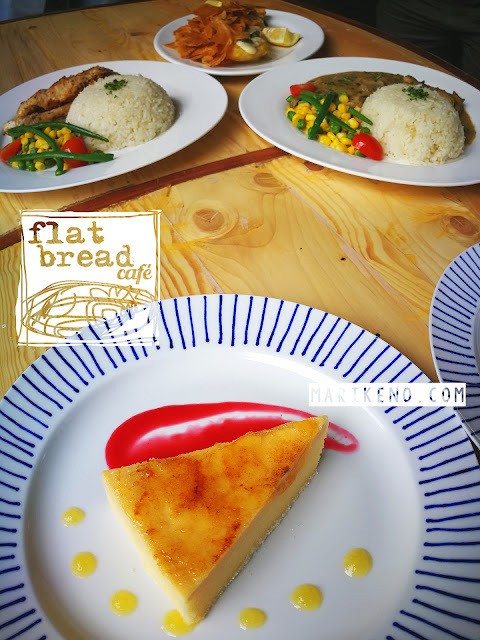 Flat Bread Café is a perfect hangout for friends and families. 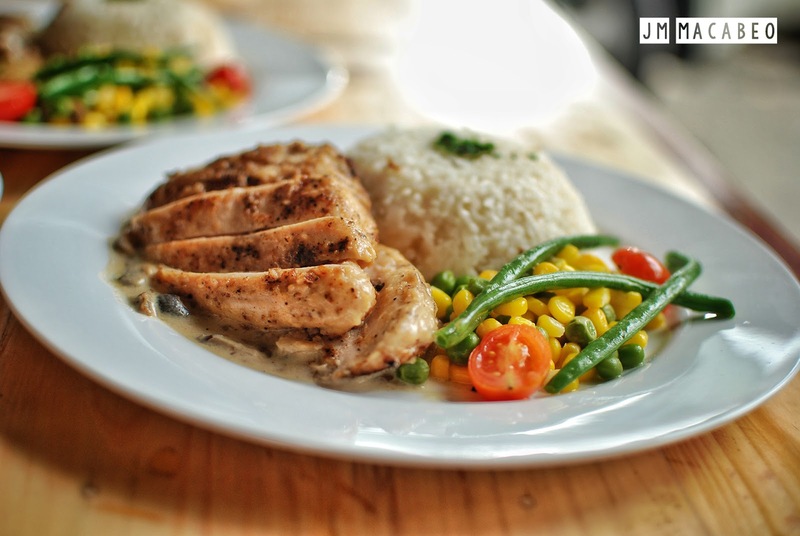 They don't just offer good comfort foods but reasonably priced as well. They have breakfast, lunch, dinner and snacks. 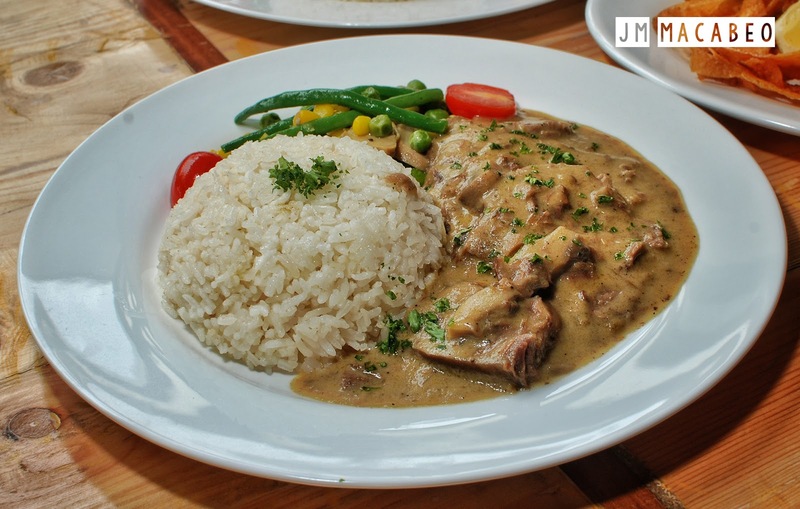 They also serve pork, beef, chicken, fish and desserts. They have everything you are looking for. 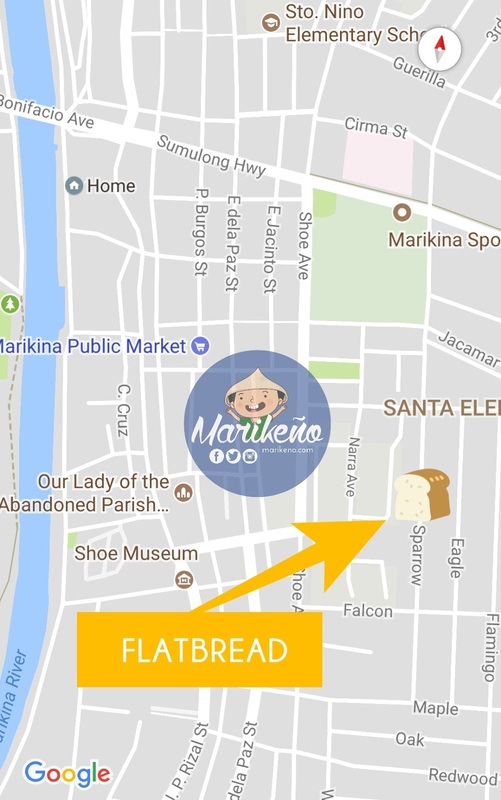 Visit them daily from 7AM to 10PM along Sparrow Street, New Marikina Subd., San Roque, Marikina City. Click here to see the map for directions.